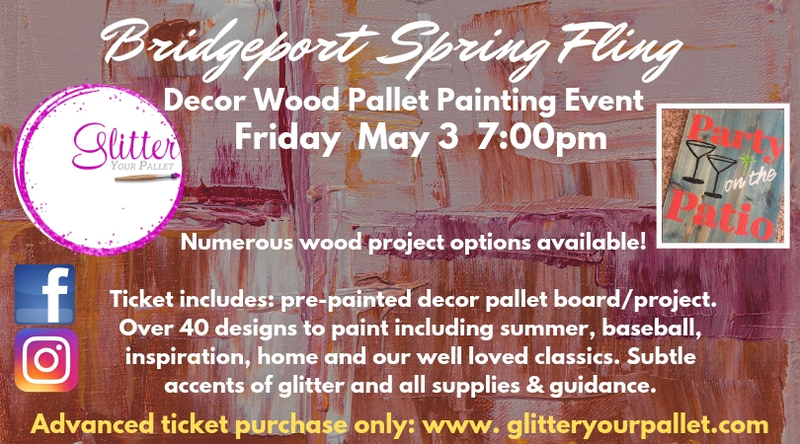 Glitter Your Pallet is in Bridgeport for a PAINTING SPRING FLING! Join us Friday May 3rd at 7:00pm. Explore the project options to paint below. ***PLEASE NOTE*** Location will be at Turtle’s or Armour Square depending on the number of participants. Be sure to purchase your ticket ASAP. This will allow proper planning for the space. To purchase TICKETS, scroll down to the end of this page until you reach the ticket options. Select the number of project / tickets you would like to purchase and proceed to the check out. Payment methods: Credit Card or Pay Pal. Please note** this is a TWO STEP PAYMENT PROCESS. A deposit is due now and cash balance the night of the event. Advanced registration only. Sorry, no tickets will be sold the night of the event. $45.00 per person includes, supplies, step by step guidance and subtle accents of glitter! 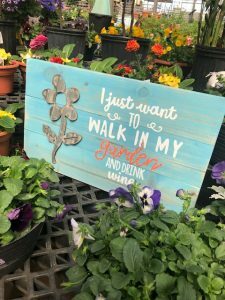 The BOARD SIZE is 24″x 14″ and comes pre-painted / stained / distressed. Designs for boards will be themed for summer, baseball, love, inspirational and our well loved classics. $50.00 per person includes an exterior painted 5 foot tall leaning wood front porch sign. Also included is a real wood flower cut out 2″ thick x 10″ wide. Choose “bloom time, Spring time or Summertime. All supplies, step by step guidance and subtle glitter accents are included. Real wood flower is hand cut and sanded from our local Veteran. 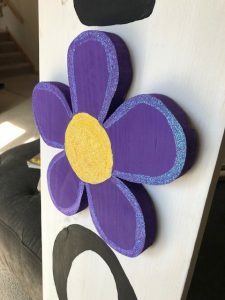 Our one of a kind metal flower project includes: a 24″ x 14″ pre-painted painted pallet board, 12″ tall corrugated re-purposed metal flower (from a 100 year old barn in Nebraska). Choose from OVER 8 garden stencils the night of the event. 2 available	 Decor Pallet Board $25.00 $45.00 project. $25.00 deposit due now via Pay Pal or Credit Card. $20.00 Cash balance the night of the event. 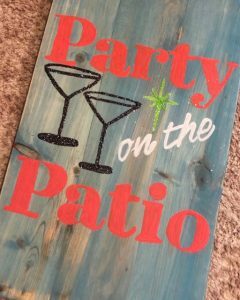 10 available	 Front Porch Sign - 5 feet tall $30.00 $50.00 project. $30.00 due now via Pay Pal or Credit Card. $20.00 cash balance the night of the event. 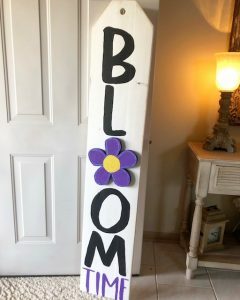 7 available	 Metal Flower Decor Pallet Board $33.00 $53.00 project. $33.00 deposit due now via Pay Pal or Credit Card. $20.00 cash balance due the night of the event.